South African households are not saving adequately for retirement because they do not have the financial know-how to plan and budget effectively. Addressing this has become a priority item on government’s agenda, who says South Africa’s employers have a significant role in championing the notions of budgeting through the provision of quality financial education and appropriate financial benefits to employees. According to Vuyo Nogantshi, Head of Institutional at Nedgroup Investments, there are many ways in which employers can improve the savings behaviour of South Africans, and basic financial education is key. “People tend to think of retirement as an end goal and do not recognise the importance of saving in advance. 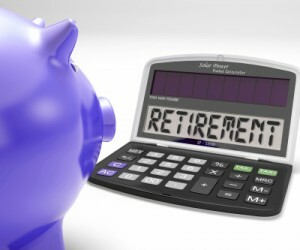 It’s crucial that employers do what they can to change this perception and help employees recognise that saving for retirement is an on-going financial journey,” he says. Many people are burdened by debt and are struggling to pay their bills, which means they are focussed on their short-term financial needs, says Nogantshi. They do not consider the long-term implications and the loss of compound interest they are incurring by not saving. According to Nogantshi, employers should focus on a benefit structure that teaches employees about the benefits of saving and how to become budget savvy. “If appropriate savings vehicles were made available to employees and they had access to good financial advice, they would be more likely to invest,” he says. Government is already taking key steps to ensuring the development of prevailing legislation that speaks to this. “People will always spend what they are given unless a major paradigm shift is encouraged. It’s about teaching people how to sacrifice and compromise now, for the long term benefit of living comfortably in retirement,” he explains. Nogantshi says budgeting assistance will provide employees with the knowledge and skills needed to create sound financial habits, such as setting financial goals, improving monthly cash flow, saving for long-term goals, and managing financial risks – all of which could dramatically improve the savings rate of South Africa as a whole. “There are substantial benefits to employers who can eliminate the stresses associated with poor financial behaviours of employees. As employees become more sophisticated in their benefit structure requirements, those employers that meet this need are likely to become employers of choice. Also, employees who have their finances in order are likely to be more focussed, happier and more productive,” he concludes.